ESL UK to host 2017 HCT Winter Playoffs live from Leicester! 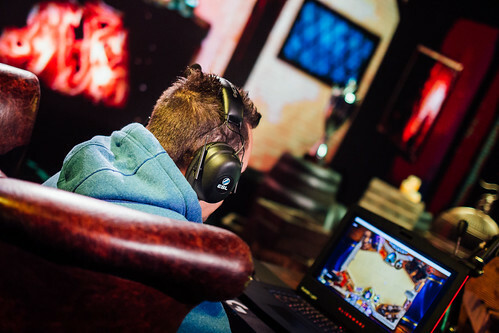 A three-day Fireside Gathering bonanza will form the backdrop to the first stage of one of the biggest Hearthstone tournaments of the year. The best players from across the UK who are yet to qualify for the playoffs will compete on Friday, February 10th, in the Tavern Hero tournament live from the studio. Top UK players from this tournament will qualify for the Winter Playoffs on Saturday and Sunday - where the European attendees for the Winter Championship will be decided. For Hearthstone fans across the country, the Winter Playoffs is a landmark in the community calendar. Play The Pro, King Of The Hill, The Innkeeper’s Riddles and plenty of other games, competitions and side events will pepper the weekend. As with all Fireside Gatherings, attendance is completely free. So if you’re into Hearthstone or know someone who is, come see us! There’s also a special prize in store for anyone who can challenge and defeat a member of the ESL UK staff in the Inn. Tickets for the show are free but limited and can be picked up on the link below. Grab a limited ticket here! For further details and information, follow ESL UK on Facebook and Twitter.